Since the days of the Palm Pilot, we have used our mobile devices for productivity and specifically for keeping our calendars. Today we have many options in Android, iOS, Blackberry, and Windows Phone calendar apps. There is no reason to settle for one…why not try them all and see which one you like best. 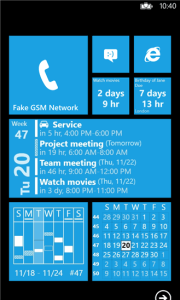 Today I’m looking at 3 Windows Phone Calendar Apps for you to try out. They each have their strong and weak points to consider. 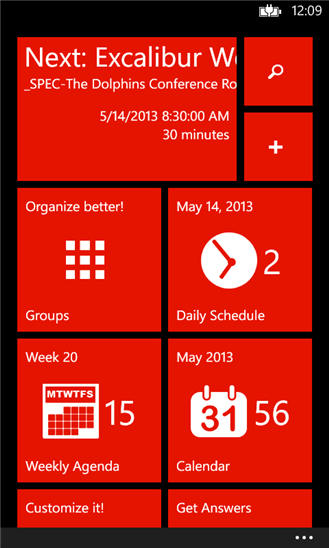 Calendar Pro is a Windows Phone Calendar app that features daily, weekly, and monthly views. It also gives you the ability to pin appointments to the start screen. Also has search and filter based grouping. Tap+Hold Reply/ReplyAll or forward an appointment from any screen. 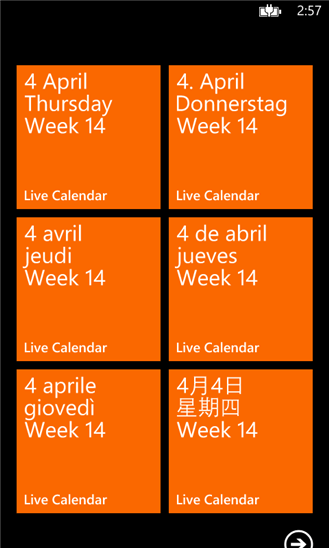 Live Calendar allows you to place a live tile on the start screen. This tile is updated automatically in the background. 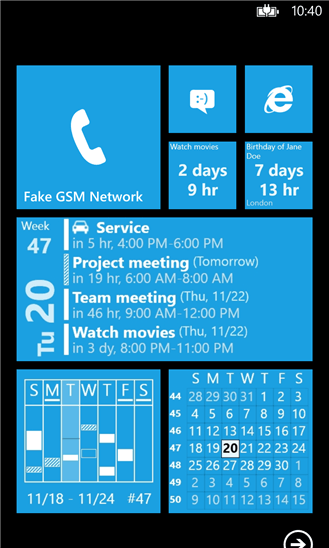 Week View 8 is a customized version of Week View for Windows Phone 8 and features a large live tile that shows the next 4 upcoming appointments. Another nice feature is speech recognition. Of the three Windows Phone calendar apps here I have to say that I prefer Week View 8. It appears to be a more complete app and more suitable for business use.